The scene in the Senate cafeteria Wednesday was the very definition of cognitive dissonance: A group of wealthy businessmen seated shoulder-to-shoulder with white-collar office workers and Congressional maintenance men in work coveralls. Munching on brown-bag lunches, the tycoons argued that pay for the maintenance men, and hourly workers like them, should double, even though the hike would eat into their own bottom lines. 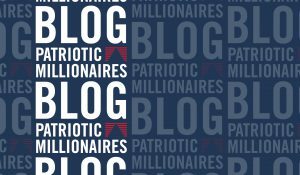 Yet the Patriotic Millionaires, a group of left-leaning businessmen advocating for an end to wealth inequality, say their decision to lobby Congress to increase the minimum wage from around $7 an hour to $15 – along with tax reform that would force the nation’s wealthiest 1 percent to pay a bigger share to Uncle Sam – is less about dollars and cents and more about the kind of nation they want to live in. 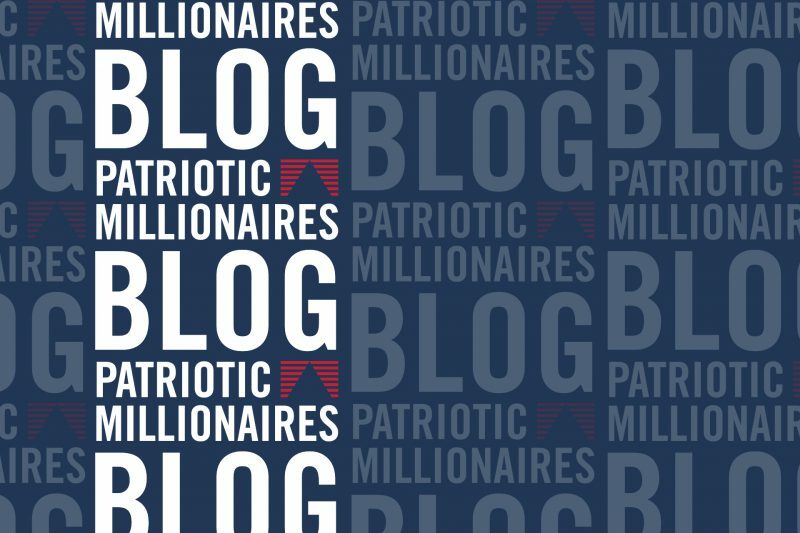 “I’ve gone on vacation to the Caribbean – places like the Dominican Republic – and you see a few [rich] people living behind 12-foot walls and being driven around in armored cars,” Morris Pearl, a financial analyst and chair of the Patriotic Millionaires, tells Whispers. If something doesn’t change – and soon – that scenario could come to the U.S., he warns. The wealthy in those places may be happy, “but frankly, I don’t want to live that way. I’m not happy doing that, and that’s not the place I want my kids to grow up,” he says. “That’s what I’m fighting for – less of this inequality that’s pushing people apart,” he says. Jerry Fiddler, a tech entrepreneur and member of the Patriotic Millionaires’ advisory board, says, to him, the cracks in the U.S. economy that became the chasm between the haves and have-nots began under President Ronald Reagan, who pushed hard for “trickle-down economics:” the theory that tax breaks to the wealthy will entice them to create more jobs, resulting in a booming economy and higher wages. Besides emptying middle-class wallets, Fiddler says, the modified trickle-down system has taken a toll on political system – particularly when Republicans, and their deep-pocketed allies, convince voters that leveling the economic playing field rewards workers who don’t deserve it. Scott Nash, CEO of the Mom’s Organic Market grocery chain and a group member, says there’s an opportunity to find common ground with Republicans, who want to shrink government spending. Fiddler acknowledges that argument is a tough sell among the GOP, but it’s worth trying to get conservatives to see over the horizon. Perhaps Republicans will see the light if the Millionaires agree to pick up the tab for the costs of a minimum-wage hike if a smaller government is the result. “We’ll tell them we’re just going to [subtract] it from our fortunes,” he said.